The second book in the New York Times bestselling series that began with If You Ever Want to Bring an Alligator to School, Don't! is another uproarious cautionary tale about things that DON'T belong together! Elise Parsley wrote and illustrated the bestselling If You Ever Want to Bring an Alligator to School, Don't!, which was her debut picture book. 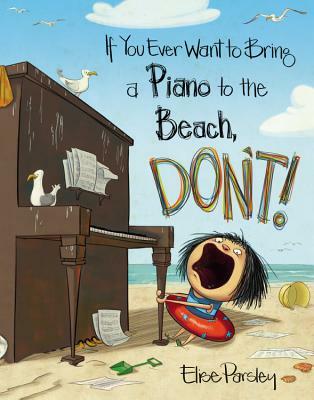 She has also written and illustrated If You Ever Want to Bring a Piano to the Beach, Don't! ; If You Ever Want to Bring a Circus to the Library, Don't! ; Neck & Neck; and illustrated The Magic Word by Mac Barnett. She lives in South Dakota with her husband. She invites you to visit her online at eliseparsley.com.